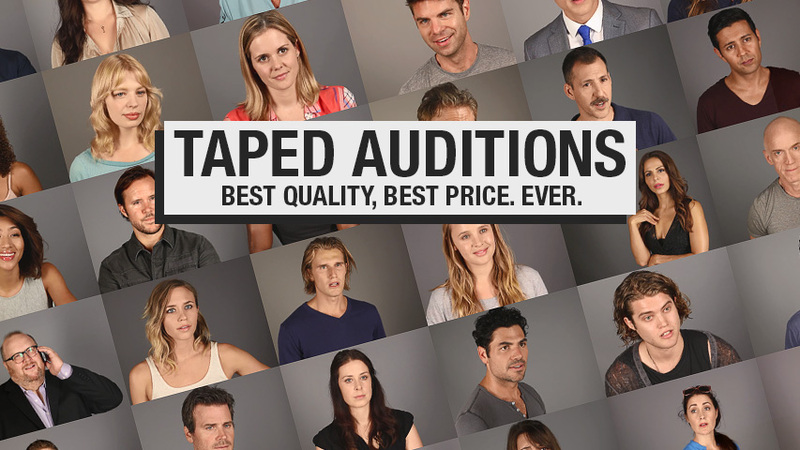 A lot goes into creating a great taped audition. We've dug into the fine details of the process and pride ourselves on achieving a superior product. Our video and audio quality are superb. Your dialogue isn't just heard, it's heard clearly, and all our readers are professionally trained to ensure you never lose your pacing. With all the details taken care of, you have the freedom to do what you do best: knock 'em dead. A ppointments are just $1/minute, plus a $5 booking fee. Looking for Slate Shots? We charge a flat-rate of $10/look for Slate Shots. To schedule a session to shoot Slate Shots, simply book the amount of time you think you'll need to shoot, and we'll charge the balance due once your session is complete. Try not to do it! We understand that cancellations and reschedules are in the nature of the industry. We request that you give us as much heads-up as possible before cancelling or rescheduling to allow us to make your time available to our wait list. Cancellations / reschedules made less than 6 hours prior to the appointment will forfeit the full session fee. Copyright © 2019 Cut Red Tapes LLC. All rights reserved.